Using book sell sheets are one of the most timelessly effective ways to promote your brand. When done correctly, they are an effective way to easily gain new customers and prospects. As an author, you can tap into this common marketing trend and use book sell sheets and flyers to promote your books and related events. Flyers are inexpensive and they allow you to present a visual presentation along with a clear message to your audience. 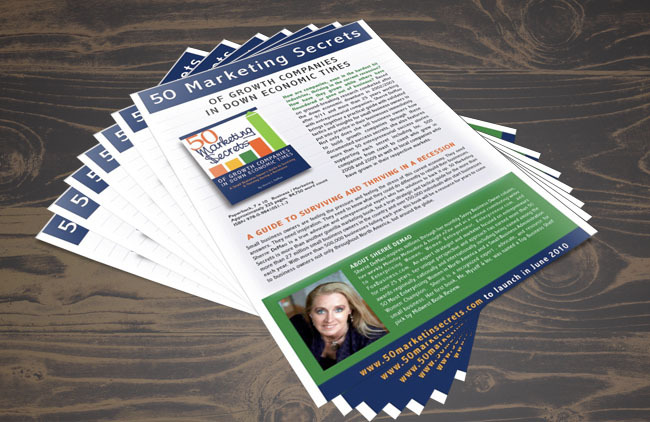 Here are 7 tips to remember when using book flyers and sell sheets to market your work. Many times, you’ll see marketers crowding every piece of information they can think of on one 8.5” x 11” or “4 x 6” flyer. As an author, it’s better to keep things simple. Only discuss a couple of your latest titles or upcoming events. It’s better to include detailed information about a couple of things than to have bits of partial information about a lot of things on your sell sheet. Adding testimonials and reviews to your flyer gives you credibility as an author and builds trust with your audience. In fact, use testimonials in all of your marketing campaigns, not just with flyer promotion. Include a small photo and or name of the person who wrote the testimonial for extra credibility. By using too many fonts, graphics, and crazy color schemes, you have the potential of turning your potential customer away from your flyer, rather than engaging them. 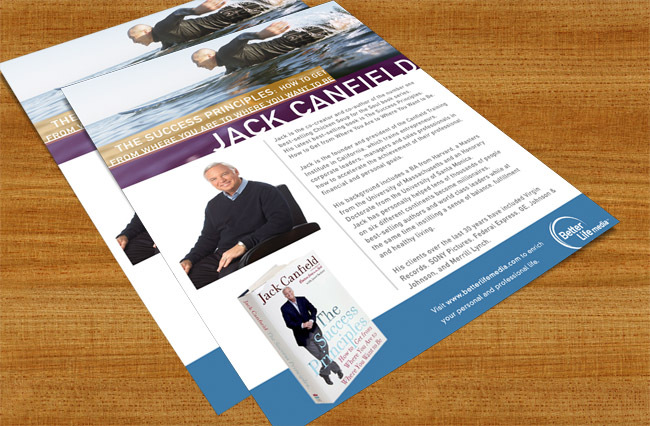 Keep your book flyer design simple by only using a maximum of 3 fonts, a limited number of high resolution graphics, and use colors that complement each other. 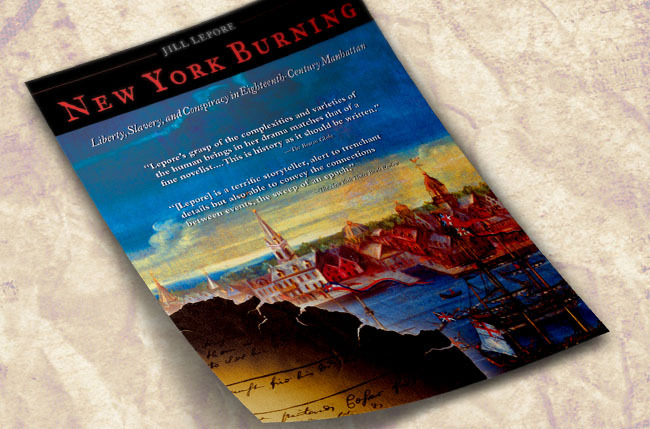 Don’t overdo it with graphics and images that obstruct the clarity of any text on your book flyer. Flyers with vibrant colors almost always stand out from plain black and white flyers. 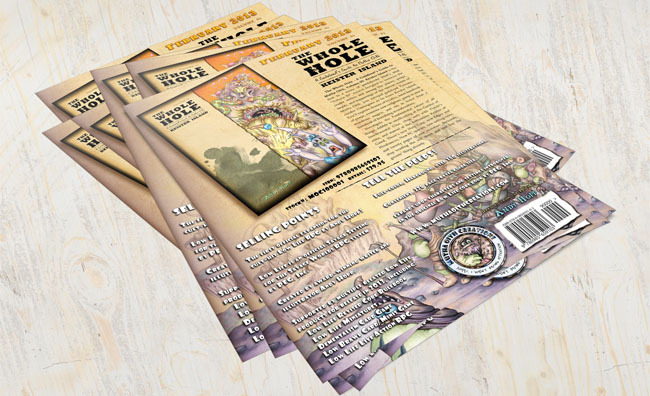 When you compare a black and white flyer to a flyer printed in full color, the color flyer will almost always stand out. If you don’t have the budget for full color printing, use brightly colored printing paper with bold black text to make sure your flyer stands out. Use paper colors such as bright pink, yellow, or green to make sure your message stands out. While it may be cost effective to print one design in color and photocopy the rest, you run the risk of producing a flyer with low print quality – which is less attractive. Professional printing gives your flyer a professional look, whereas photocopied flyers tend to look cheap. Fortunately, there are many professional printing companies that provide affordable flyer printing services. It’s a known fact that people love to save money. Having a coupon or discount listed on your flyer can help you get better engagement due to the offer of savings. For example, you could offer a discount on the purchase of your latest book. Be sure to include а nice clear photo of the product on sale, if available. I’m sure at some point you’ve seen a flyer that was well designed and engaging, but the contact information was not provided, or was hard to locate on the flyer. Many people make this mistake when printing flyers. They either forget to include a phone number, address, or website address. Make sure you include clear instructions on how to contact you or how to take advantage of your promotion. Also, make sure any call to action are larger in size than the other text on your flyer. Looking online it is hard to find book sell sheets with any creative flair. Below are book sell sheet examples that standout from their bland competition while still being professional.